UPDATE #1 for 2017: If you haven’t upgraded to Kodi 17.1 Krypton yet (note the “.1”), then update Kodi now. Why? Because most TV Addons no longer work with anything before Kodi 17.1 (yes, even 17.0 won’t work with most TV Addons). So update to Kodi 17.1! Important Security Warning for all U.S. Kodi Users: Not too long ago, U.S. Congress repealed Internet Privacy laws. So protect and unblock your Kodi streams using our Kodi VPN set up video tutorial. This way, all of your Internet data is automatically encrypted by your VPN service and you won’t have to worry about a thing. Also, keep in mind that Amazon FireTV is only one of a few great Internet streaming boxes available. People love to use a Macbook or a PC as a Kodi box, too. With the growing popularity of streaming TV & movies, the streams accessible via Kodi have become less and less reliable. This has been causing users of Kodi’s TVAddons to assume that their hardware is the issue, when the issue is really a collection of low quality streams. It is likely that increasingly popular, unreliable movie links are the cause for your FireTV buffering issue. To become truly informed, check out our Kodi Buffering Guide and this list of Streaming Media conferences. 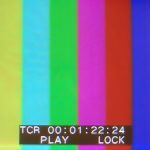 Check out a streaming media conference and Reddit for a thorough education on topics such as the comparison of streaming devices, services, and even HD antenna setups. Your FireTV Buffering Fix may be to get some higher quality streams! You can try the buffering fixes below – but first you might try installing a stock FireTV app such as Crackle. Then see if your FireStick/FireTv still has the buffering issue. This would eliminate the stream quality of your TVaddons (Genesis, etc.) as a possible problem. Simply put, apps like Crackle and [easyazon_link identifier=”B0089BPEZS” locale=”US” tag=”arizonacaorg-20″]HBO Go[/easyazon_link] have more resources to allocate toward servers and streaming services as opposed to smaller, more talented organizations such as the people at Kodi. Basically, just keep in mind that a link you try this morning may vanish by lunch – so it may be wise to diversify your streaming apps instead of relying solely on apps like Genesis. See our list of the Best Apps for Kodi for some more great Kodi streaming apps. Move your FireTV at least 6 feet away from your TV. Some TVs can cause RF interference which would interfere with the WiFi signal, causing your FireStick to buffer unnecessarily. You can get a top-rated High Speed [easyazon_link identifier=”B0069A6UNQ” locale=”US” tag=”arizonacaorg-20″]HDMI Extension Cable[/easyazon_link] for $8. Use a smartphone power supply (a 2Amp power supply) instead of the one that came with your FireStick. 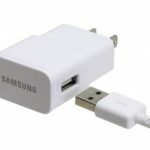 Try using an [easyazon_link identifier=”B00CF34B0A” locale=”US” tag=”arizonacaorg-20″]Original 2Amp Samsung Micro USB Power Supply (for Samsung Galaxy S2, S3, S2 4G, Note 1, Note 2)[/easyazon_link] – users report much better performance from these power supplies. Note: Do not use a Quick-Charge cable (for Galaxy S7, for example). A QuickCharge cable (with more than 2 Amps) may damage your Fire Stick. One common cause of buffering (other than overloaded servers) occurs when the device you’re using doesn’t have enough power to process the stream and download the data at the same time. This can occur when using relatively low-powered devices like the FireStick. To solve this, get a higher-powered device, such as the [easyazon_link identifier=”B01M5F3UWJ” locale=”US” tag=”arizonacaorg-20″]RK3229 Edal[/easyazon_link]. With Navi-X, you can avoid FireStick buffering issues altogether by downloading the video completely before you view it. Explanation: 97% of Internet providers admit to spying on their subscribers’ Kodi streaming data in order to throttle their customers’ Internet connection speeds. Yes, your Internet Service Provider will actually spy on you (read this or this) and your Kodi activity to see what you’re streaming. If they see something that they don’t like (something mistaken for copyrighted content, for example), they will throttle your Internet connection. This means that they will limit your Internet speed to less than what you actually pay for, causing unnecessary Kodi buffering. So use a VPN to make your streaming activity private to keep your ISP from throttling your bandwidth! Are you playing your video from a local network location? If you’re getting FireStick buffering problems when playing your video from a local network location, try NFS file sharing instead of SMB (“Windows”) file sharing. Or try a nice [easyazon_link identifier=”B00EVVGAD0″ locale=”US” tag=”arizonacaorg-20″]Network Attached Storage (“NAS”) drive[/easyazon_link] that links in to your network and allows all attached devices (such as your FireStick) to access your video files. If you have a little bit of networking/PC know-how, use a software WiFi analyzer to see the channels of your router which are showing the least congestion. Then set your router to use those interference-free channels. If you’re feeling tech-ey, get a [easyazon_link identifier=”B00N20C3X2″ locale=”US” tag=”arizonacaorg-20″]WiPry-Pro iPhone/iPad Spectrum Analyzer[/easyazon_link] that attaches to an iPad and shows WiFi interference. For a software solution, check out this list of 7 free WiFi Surveying tools. WARNING: This buffering fix may cause your FireStick to stop playback when the local disk space gets full. In the Kodi dashboard, go to Maintenance Tools, then install the Zero Cache Fix. You can optimize Kodi with the TVAddons Maintenance Tool. You can try to fix Kodi buffering by optimizing your FireStick with TVAddons’ optimization guide. Your Internet connection may not be able to handle [easyazon_link identifier=”B018TCCWEM” locale=”US” tag=”arizonacaorg-20″]1080p[/easyazon_link] (aka “HD”), so consider trying a 720P (aka “SD”) stream if you’re unsure. If you think your hardware is creating a bottleneck which is causing your Fire TV buffering issue, you could try a [easyazon_link identifier=”B016BILZM6″ locale=”US” tag=”arizonacaorg-20″]gnarly Hi-Power WiFi router[/easyazon_link] or a [easyazon_link identifier=”B0111MRLES” locale=”US” tag=”arizonacaorg-20″]new DOCSIS 3.0 cable modem[/easyazon_link] (make sure the one you buy is compatible with your Internet service provider before buying). ProTip: On the flipside, if you have an extremely fast Internet connection and a [easyazon_link identifier=”B01A0LGV06″ locale=”US” tag=”arizonacaorg-20″]4K TV[/easyazon_link], you can stream 4K movies from Netflix and Amazon and search for them using a 4K TV site. Since the FireTv is simply a small computer with relatively lots of power, it will get hot. Try putting a small [easyazon_link identifier=”B003FO0LG6″ locale=”US” tag=”arizonacaorg-20″]USB-powered mini desktop fan[/easyazon_link] next to it so it cools down. Cooler electronics work better than hotter electronics. Is Kodi giving you relentless buffering issues? Reinstall Kodi and it just might fix that pesky buffering. If you’re getting [easyazon_link identifier=”B005ZXWMUS” locale=”US” tag=”arizonacaorg-20″]Netflix[/easyazon_link] buffering issues and you also use Kodi, your Kodi may be using up too much memory. You must close out Kodi by going to the bottom of the Kodi screen to hit the power button, then press Exit. This will close out Kodi so Netflix buffering won’t occur, since Netflix will then have more memory with which to work. Look at the Internal Space at the bottom left corner. If it’s at 1GB or less, you need to clear some space, so.. Select an app that’s using a good amount of space (at least 200MB) and then select Uninstall. After you have plenty of space cleared, your Kodi Fire TV buffering issue should be fixed. If not, try the suggestions below. Create an AdvancedSettings.xml file and upload it to your Kodi folder. Basically you put some code in a file you create called advancedsettings.xml, as an additional method to fix the Kodi / Fire TV buffering scenario. Check out the Kodi site’s guide on how to modify the video cache. This is AdvancedSettings.xml change to fix Kodi buffering. Sometimes a reset to factory default settings will fix any software overlaps that may have occurred in your Android system. The link above is Amazon’s guide on how to reset Fire TV to factory defaults. Sometimes your network can be bottlenecking your connection, so do a speed test. 1080p content typically requires at least a 5 megabit connection. SpeedTest.net is another great connection test. They even have an Android app – try sideloading it to FireTV (may need a mouse to operate the app). Power cyle, reset, and update your router. 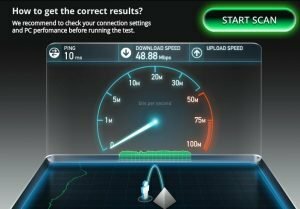 Test your Internet connection using services like SpeedTest. A good Internet connection has low latency, such as 10ms. For HD content you typically need at least 5megabit download stream. Users experience Fire TV buffering problems typically when the network stream they’re playing isn’t fast enough to play the video stream. One common cause of this is too many users being connected to the network stream. Since Genesis and other Fire TV / Kodi addons are free, this causes them to be susceptible to overloading (since there’s no barrier to entry). You can get around this by actually paying for streaming TV service like Netflix. You should experience much fewer Fire TV buffering problems with Netflix – and if not, try the Fire TV buffering fixes listed above! Still having FireTV Loading problems? If you continue to experience Fire TV buffering problems, then maybe Fire TV is not for you. More powerful hardware (such as a [easyazon_link identifier=”B0111MTSZ8″ locale=”US” tag=”arizonacaorg-20″]Gaming PC[/easyazon_link]) would provide a situation less conducive to FireStick buffering. I am using the FireStickTV v2 and the NVIDIA Stream; both systems will freeze the stream sporadically when watching anything. I use the Linksys WRT 1200 AC router connected to the Linksys 24×8 Cable Modem. Are there any issues using this combination of devices? Is there a solution blog of resolved issues pertaining to stream freezing when using the FireStick and/or NVIDIA? Thanks!